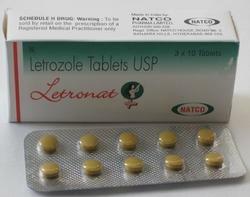 Leading Exporter of temonat temozolomide capsules, sutent sunitinib malate capsule, suninat sunitinib malate capsule, temoside capsule, p-carzine procarbazine capsule and letronat tablet from New Delhi. 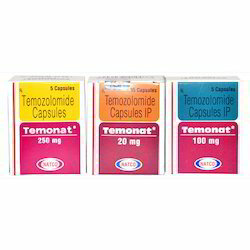 We are one of the leading processors of Temonat Capsules that are available in most economic rates in market Temonat is used for the treatment of certain types of brain cancers such as refractory anaplastic astrocytoma. Mechanism of action Temonat slows or stops the growth and spread of cancer cells in your body. Entire range of our capsules undergoes several quality parameters that ensure their reliability. 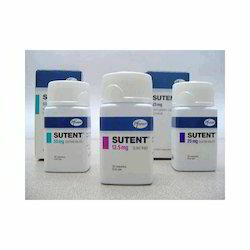 Our vast industry experience enables us to process a wide range of Sutent Sunitinib Malate Capsule. These capsules are processed to treat advanced kidney cancer and sophisticated technologies that ensure the quality and reliability of the products. Moreover, we have developed our exclusive range by following the international guidelines and norms. These capsules are available in proper packaging and at leading prices in the market. We are among the most prominent names in industry, engaged in processing a wide variety of Suninat Sunitinib Malate Capsule. 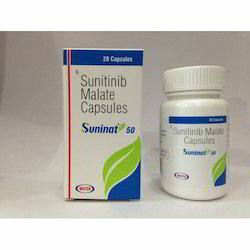 Suninat by NATCO (also known by the generic name Sunitinib) is a medication that is used to slow the growth and spread of cancer cells in the body. Sunitinib is used to treat certain types of advanced or progressive tumors of the digestive system or the kidneys.Cancer cells have abnormal rates of growth and multiply at rates that are different than normal cells. These capsules are processed by using innovative technology methods. 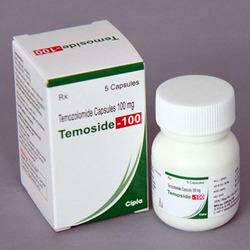 quality Temoside Tablets at competitive market prices. Offered medicines are used to control the growth of cancer cells and prescribed for the treatment of myeloma (a type of blood cancer), ovary cancer and breast cancer. With the growing competition in the market, our vendors have managed the quality with research study and improvements of these medicines. 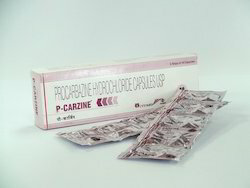 Being a client-centric organization, we are supplying, trading and exporting optimum quality P-Carzine Procarbazine at competitive market prices. Offered medicines are used to control the growth of cancer cells and prescribed for the treatment of myeloma (a type of blood cancer), ovary cancer and breast cancer. With the growing competition in the market, our vendors have managed the quality with research study and improvements of these medicines. 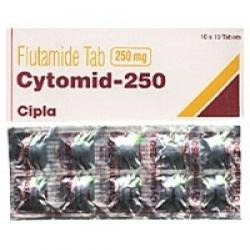 Our organization is supplying, trading and exporting superior quality Flutamide Tablet at competitive market prices. Offered medicines contain sorafenib, which is an effective inhibitor against the cancer. Our professionals’ process these medicines in adherence with the FDA laid norms. These medicines are used for cancer treatment and are known for their accurate composition. These medicines should be used only after proper medical guidance. With an aim to attain maximum client satisfaction, we are engaged in offering a qualitative range of Cyclosporine Capsules. The provided Cyclosporine Capsules are processed by using quality assured chemical compounds and cutting-edge technology, under the supervision of our experienced professionals. This range of Cyclosporine Capsules is highly appreciated for effective results, reliable composition and long shelf life. Besides this, the entire collection is stringently examined before finally dispatching them to our customers.